The biggest benefit of the Cisco 2800 Router Series is its versatility. The 2800 Series is designed for wire-speed delivery of highly secure concurrent services and can accommodate multiple T1/E1 connections for services including data, security, voice, video and wireless. The 2800 Series router was the first router from Cisco supporting network modules, therefore it is the least expensive Cisco router that you can install. Worldwide Supply carries large selections of new excess, refurbished & used Cisco network equipment that come standard with our industry-leading warranty and sold at affordable prices. Worldwide Supply is the leader in used network equipment warranties. And, don’t forget to ask us about NetGuard, our new multi-vendor service and support programs. The alternative to Cisco® SMARTnet. Click below to request a quote, click “Live Chat” above or call us directly at 888.328.2266 for more information. 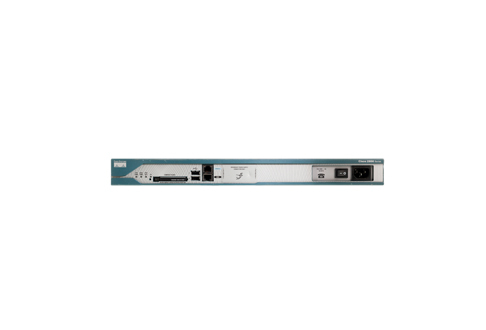 Cisco ACS-2811RM-19 is designed to Securely Mount the Cisco 2811 Router into a Standard 19 inch Equipment Rack.